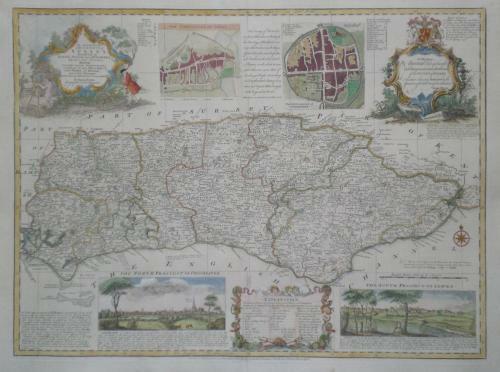 An intricate and elegant map of the County of Sussex by Emmanuel Bowen produced in the 1760's. Richly decorated with street plans and views of Lewes and Chichester. Very subtle original colouring of major boundaries and enhanced colours to the vignettes.. In very good clean condition, no tears or repairs.